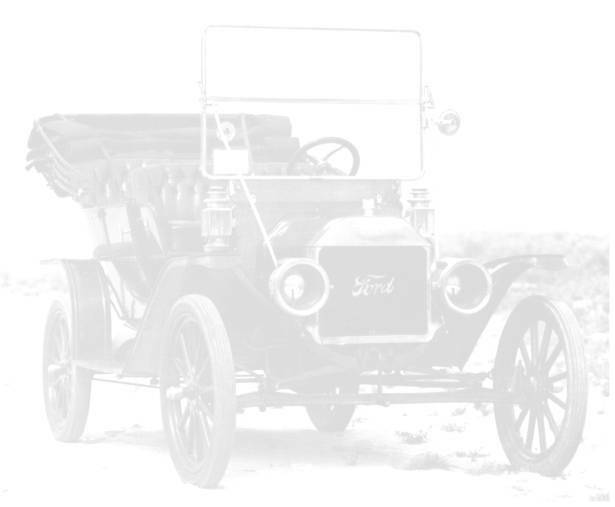 Click each small photo to see the full-sized photo, then return with your Back button. 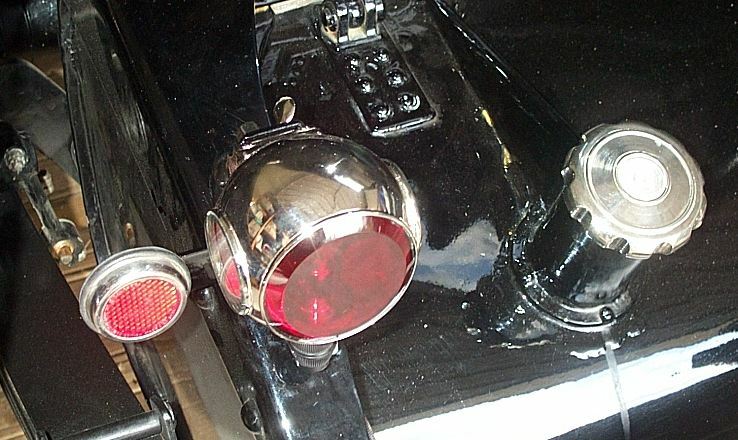 Click here for the Indicator Page. 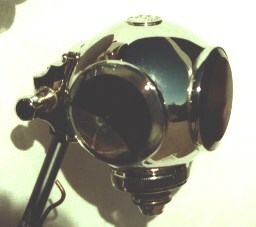 Complete with stop and tail bulb. 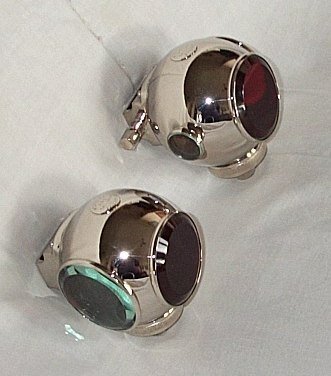 The above double contact socket with plug and thimble is an optional extra. 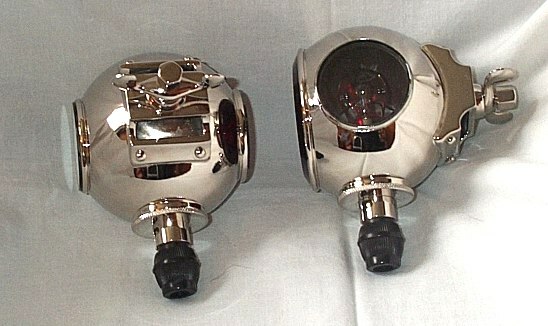 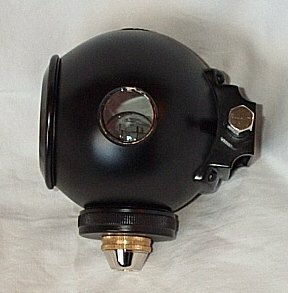 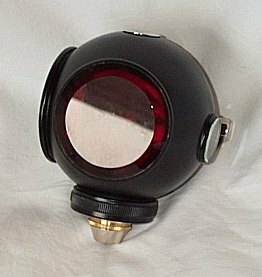 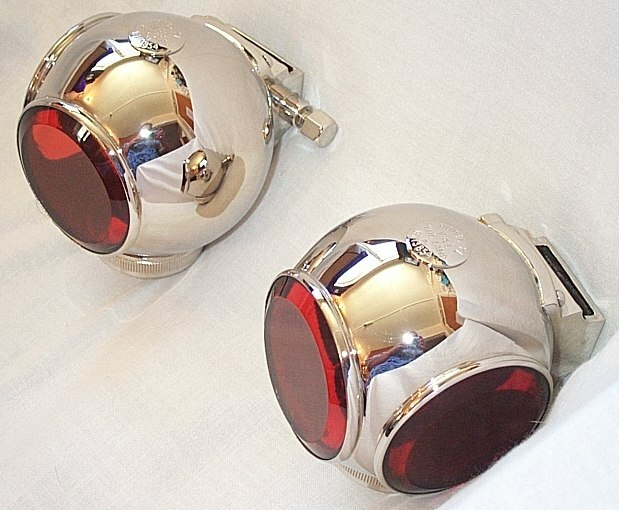 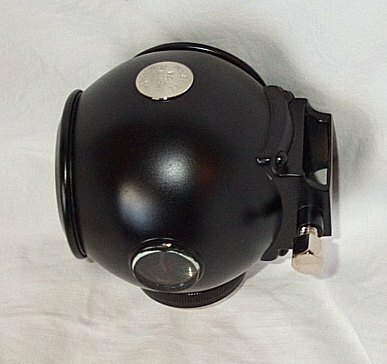 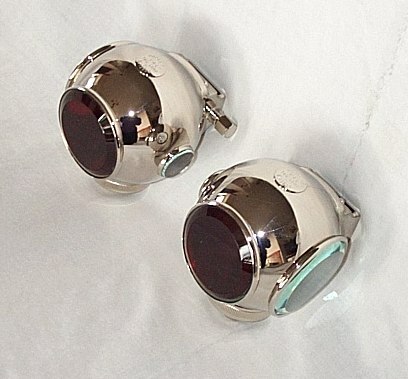 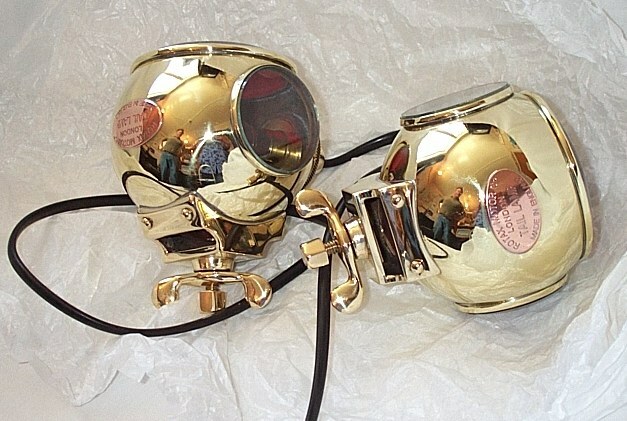 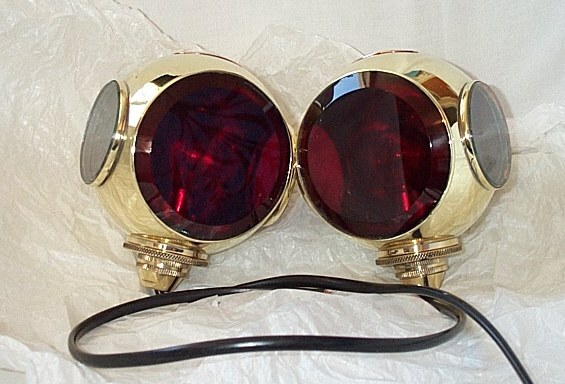 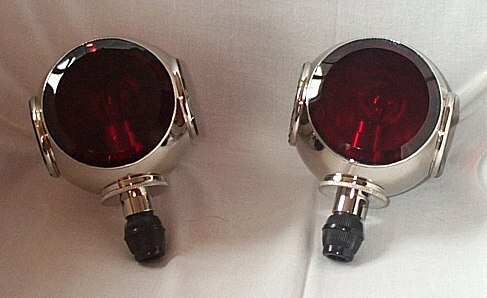 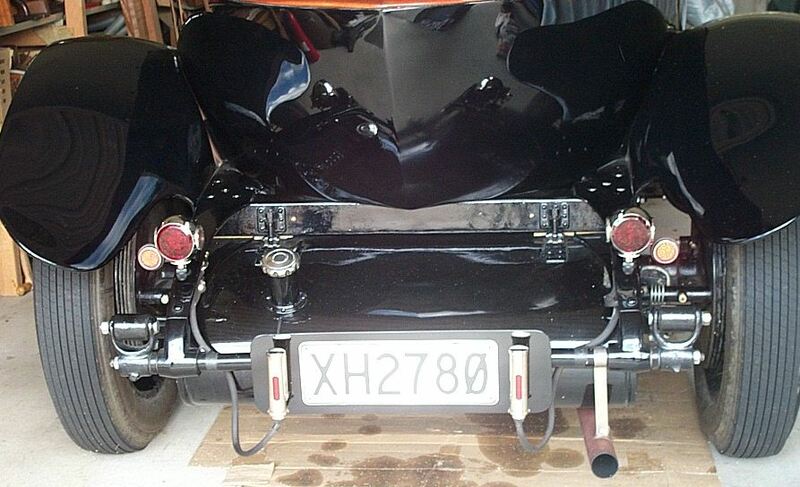 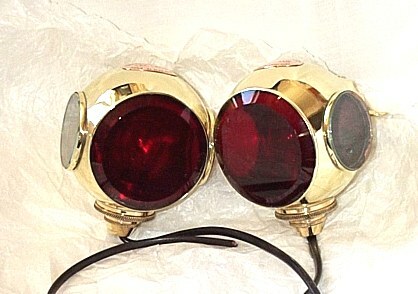 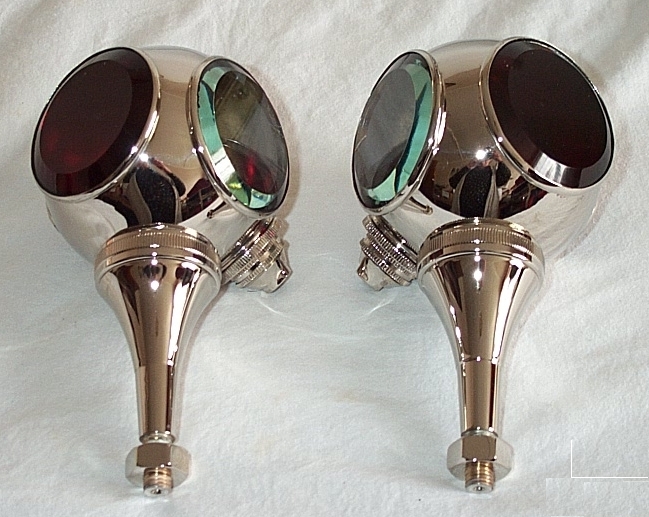 These beautifully hand crafted 3 1/2" diameter Divers Bell tail lamps are exact replicas of an original. 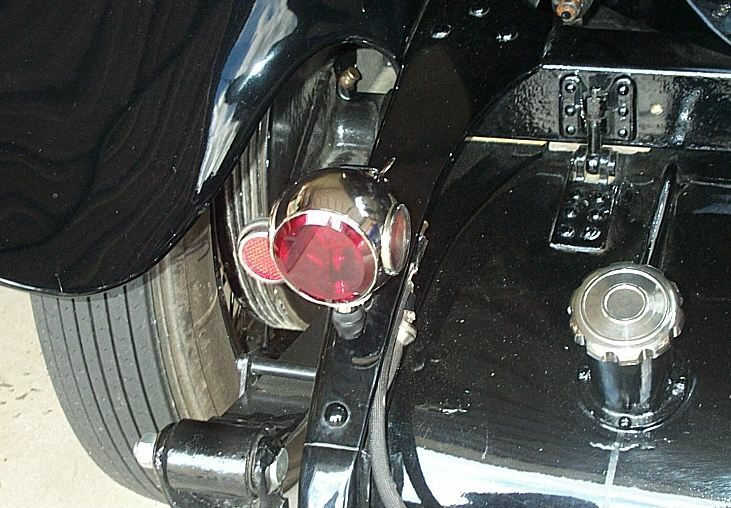 They have a 2 1/8" rearward facing red beveled lens, a 2 1/8" clear beveled lens shining to the number plate, and a 1" clear beveled lens shining to the side. 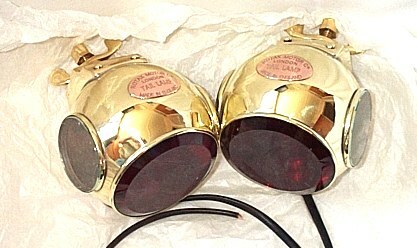 They are mounted by a casting to the back of the light. 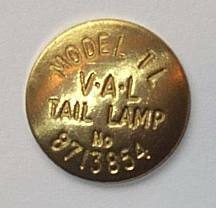 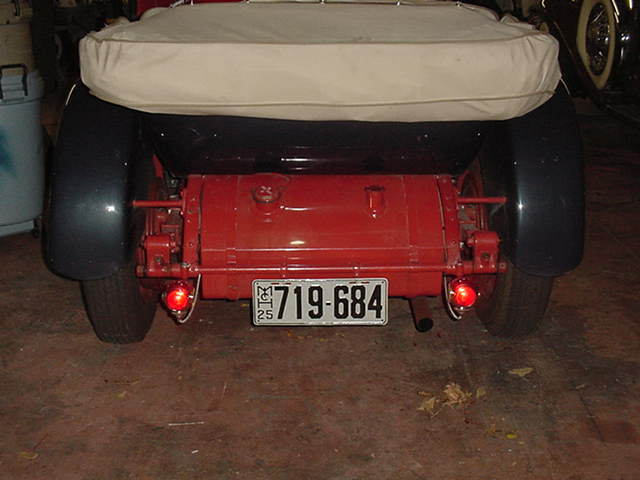 The name badge has VAL on it and differs from the original slightly, and these lights are fitted with a 12 volt stop and tail lamp bulb ready for wiring. 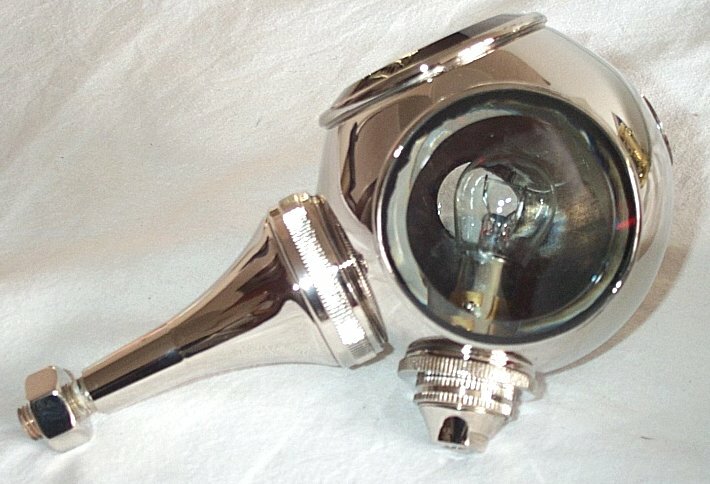 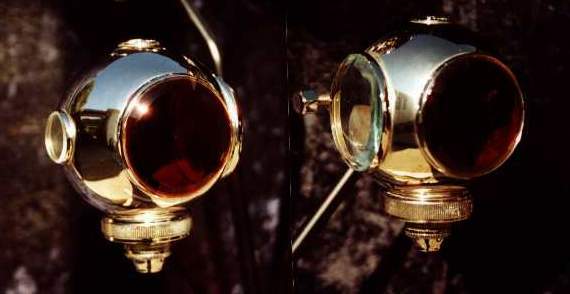 The completed lamp has been nickel plated to the highest possible standard giving a jewel like image that will compliment the best of restorations. 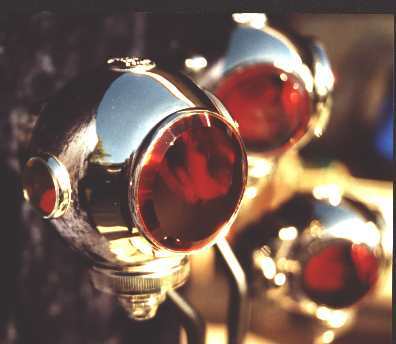 These lamps begin from a flat sheet of copper, then are spun over a ball like former. 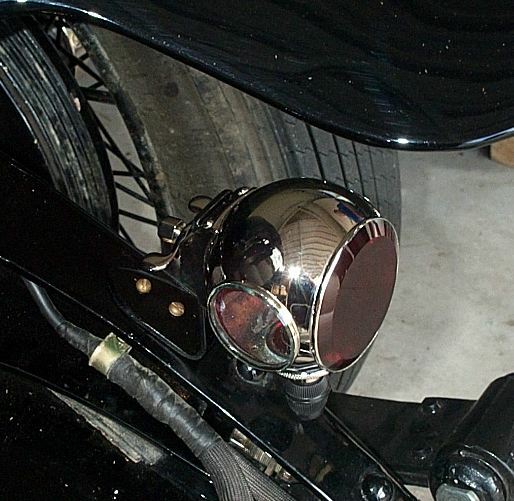 The former needs to be taken apart, piece by piece, from the inside of the newly formed copper 'ball' that becomes the main body of this unique tail lamp. 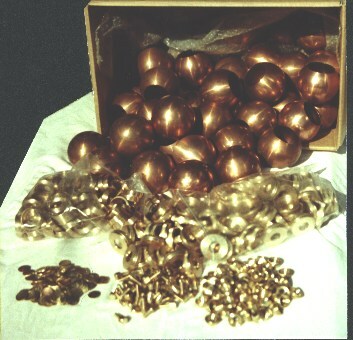 Click here to see how we make these balls. 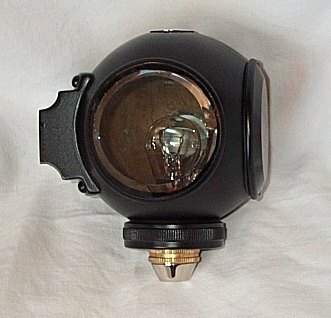 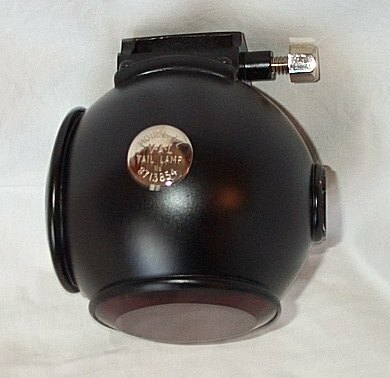 We are now spinning the ball for these lamps here on site.